I have been a digital marketing expert for over 10 years and started marketing as a career over 18 years ago. I have worked in various industries from textile to import/export, marketing collateral, environmental protection, ICT consulting (freelance), eCommerce, publishing, branding & design, search & media to mention a few. I was also involved in voluntary work notably for church groups and schools. I recently founded SureJobz, an online business that connects professionally skilled people with individuals and companies that require specific skill-sets. I consult with Tenddeapact Solutions (an ICT solutions freelance) where I mainly work with local and some international clients. In academia, I have bagged various qualifications including B.Sc.Ed – Geography & Planning (Nigeria - 1997), MBA – Marketing (Sweden - 2009) and various NFQ/QQI level 8 and 9 professional qualifications as seen below. I was invited by LAP LAMBERT Academic Publishing to publish my MBA thesis as a book in May 2010 - ICT in Marketing: A study of the use of Internet and Mobile phones in five selected companies in Dublin, Ireland. ISBN – **Telephone Number Removed** In 2010, I was invited by Harvard Business School to start a doctoral programme in DBA but have since decided to focus on developing a business model that will positively impact employment globally. I currently hold professional memberships of MBA Association of Ireland (MBAAI) and International Institute of Marketing Professionals (IIMP). 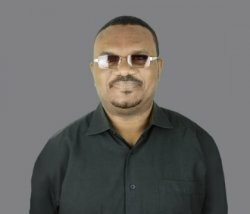 My core competencies are in lead generation - SEO, SMO, PPC, project management, e-mail & Affiliate Marketing, clean & effective web design and development, web analytics, UI/UX/CX, BI, data mining, eCommerce, CMS, Adobe Photoshop, Dreamweaver & Muse, use of Microsoft Office & OpenOffice Suites and more. I am a qualified teacher with a Bsc.Ed degree and have taught at casual/adult level for the past 10 year.